The Portuguese Association for CDG is committed to advancing CDG and related metabolic disorders research. With the creation of CDG&Allies-PPAIN, 12 research lines have been developed. We are extremely grateful to our volunteers, researchers and physicians, who have been doing an outstanding job! We expect to publish many more important scientific articles in the year of 2018! All our work is done in a volunteer basis, we do not receive any kind of government fund or any other form of financial support. Please consider making a DONATION! This service is done in collaboration with the CDG & Allies Community International Advisory Committee members (more information HERE). CDG & Allies-PPAIN comprises the leading minds in the field of Congenital Disorders of Glycosylation (CDG). Please visit the 12 work packages and their working groups to learn about our research! CDG Therapies: From Bench to Bedside. This paper systematically lists and explains the therapeutic advances being made for CDG. Some therapies are already available, while other are still in early development stages. Nevertheless, many exciting advances have been made in the field of CDG treatments. You can find the abstract HERE and order the complete article HERE. Implementation of a patient-centred approach to both clinical research and care settings, has increased the recognition of patient and/or observer reported outcome measures (PROMs or ObsROMs) as informative and necessary tools, namely in clinical trials. PROMs are instruments that capture directly the patient experience with their disease. One of the aspects most commonly assessed by PROMs is health-related quality of life (HrQoL). Inherited Metabolic Diseases (IMDs) - among which CDG are included - are a group of disorders that range from mild to severe clinical presentations, but most lacking effective therapies. 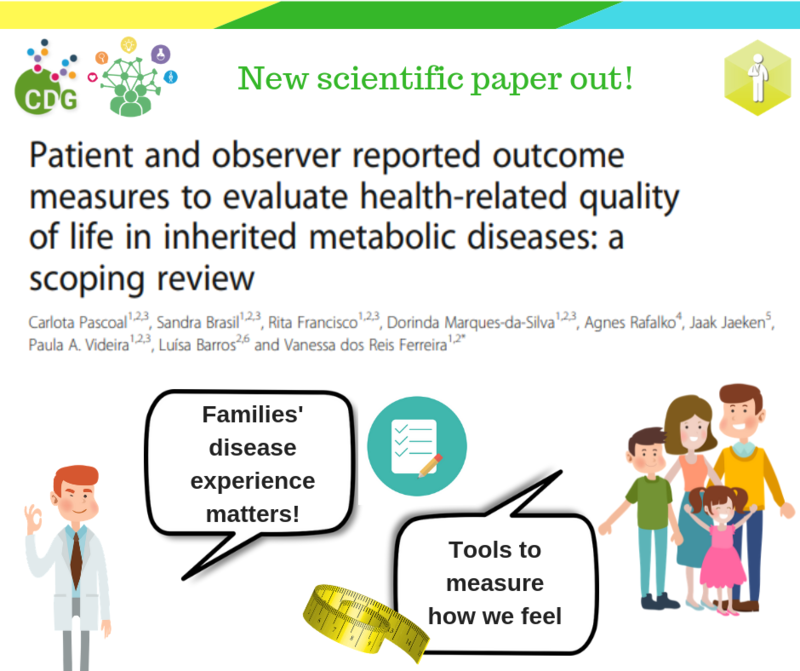 This work focuses on the existing PROMs tools to measure HrQoL among this patient population. This paper acts as a diagnosis roadmap for clinicians and intendeds to help guide them throughout the process of a CDG diagnosis - from suspicion to genetic confirmation. It also includes n updated list of all CDG types identified to date. Finally, this short review can also be used as a lobbying and awareness tool. This systematic review of the literature identifies CDG subtypes, caused by defects in the O-glycosylation mechanism subtypes, with eye involvement. We identified eye problem in 15 CDG subtypes, which means that over 60% of all O-glycosylation CDG have vision affectation. We also discuss and describe potential causative molecular mechanisms and present exisitng animal models, as well as explore possible therapeutic avenues. We believe this work can improve diagnosis,care and management of eye impairment in CDG patients, while also guiding research and promoting theray development. This qualitative study was based on the think thank methodology applied to the CDG Community. It counted with a total of 48 participants, including patients/family members (n = 18), health care professionals (n = 7), researchers (n = 7) and people combining several of these roles (n = 16). Participants came from 20 countries across five continents. Participants were asked to identify their needs and suggest social measures that could result in a better and patient-centred approach to care and research. Suggested. social innovations included peer-support communities, web-based information resources and a CDG expertise platform. This literature review summarizes cardiac involvement, reported in 20% of CDG. CDG with cardiac involvement were divided according to the associated type of glycosylation: N-glycosylation, O-glycosylation, dolichol synthesis, glycosylphosphatidylinositol (GPI)-anchor biosynthesis, COG complex, V-ATPase complex, and other glycosylation pathways. 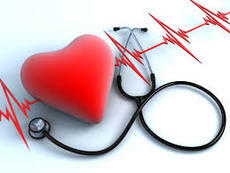 ​The aim of this review was to document and interpret the incidence of heart disease in CDG patients. Heart disorders were grouped into cardiomyopathies, structural defects, and arrhythmogenic disorders. ​You can find the abstract HERE and order the complete article HERE. An Electronic Questionnaire for Liver Assessment in Congenital Disorders of Glycosylation (LeQCDG): A Patient-Centered Study. This paper focuses on the application of an online patient-centered questionnaire to evalute liver involvement in CDG patients. A total of 155 questionnaires were completed. Impressively, the results obtained from this approach match those acquired through a thorough revision f the literature on this topic. 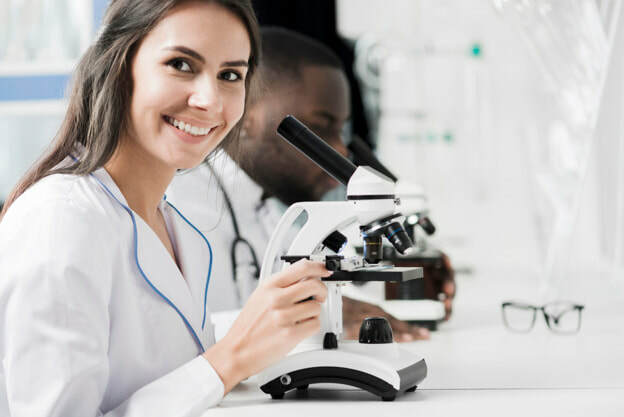 This innovative research strategy outcomes many of the limitations related to rare disease research, accelerates the research projects while empowering patients and families and reinforcing the link between families and professionals. 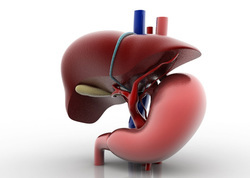 ​Liver is among the affected organs in CDG Patients. In this review, CDG are divided into major and minor categories in terms of severity and frequency of liver disease. CDG with minor liver involvement: PMM2-CDG, ALG1-CDG, ALG3-CDG, ALG6-CDG, ALG8-CDG, ALG9-CDG, PGM1-CDG, and COG-CDG. This review article focuses on the aspects of immunological affectation and dysregulation in CDG Patient. This basic research article sheds some light on the difficulty of establishing relationships between mutation type and the symptoms presented by PMM2-CDG patients. Authors have found that PMM2 gene has a higher frequency of mutations among the general population and that mutations affecting other genes responsible for CDG type I might influence the symptoms presented by PMM2-CDG patients. You can find the abstract HERE and access the complete article HERE. A Patient Friendly Abstract is available HERE. ​This is a short review on nutritional approaches to treat CDG. For instance, MPI-CDG was the first tretable CDG by mannose (a specific sugar) administration. There are currently, various types of CDG and sugars under clinical trials. And, actually, for another type of CDG called PGM1-CDG, galactose administration has been showing some very promising results. This basic research article applies the technical and technological solution of pharmacological chaperones (small molecules that stabilize proteins, allowing them to get their normal conformation and function) to the treatment of PMM2-CDG, finding and characterizing one promising candidate. This is an exciting therapeutic approach applicable to missense gene mutations, which translate into unstable proteins being formed. So, in theory, this approach could be used to treat ALL CDG patients with that type of mutation (missense mutation). SLC39A8 deficiency: biochemical correction and major clinical improvement by manganese therapy. SLC39A8-CDG is dual pathway disorder, as it is both caused by manganese (Mn) deficiency, which in turn leads to glycosylation alterations. In this preliminary study in 2 patients, 15 and 20 mg MnSO4/kg bodyweight were administered per day. Glycosylation and blood manganese were monitored closely. Considerable clinical improvement regarding motor abilities, hearing, and other neurological manifestations was observed, thefore indicating that high doses of Mn may be an effective therapeutic strategy for these patients. There is actually an ongoing trial in Munster (Germany). In this study, 20 PMM2-CDG between the ages of 5-18 years-old participated . The aim of the study was to better understand the progression of cerebellar problems in these patients as well as to correlate the findings to the patients' health. For that purpose, patients were submitted to sequential assessments by application of the International Cooperative Ataxia Rating Scale (ICARS). Two measurements were performed during a 20 month period. Patients were found to have progessive loss of cerebellum mass (cerebellar atrophy), althghout that loss of volume was not related to decreased cerebellar function, as patients generally exhibited stabilization or mild improvement in the cerebellar syndrome. The authors of the study point out the need to have more validated tools, such as ICARS, to ensure sensitive and effective follow-up of PMM2-CDG patients, including in the context of therapy assessment. Epileptic spasms in congenital disorders of glycosylation. CDG disorders can be associated with epileptic spasms showing particular features, such as absence of hypsarrhythmia, posterior EEG anomalies, and an unusual combination of epileptic spasms with myoclonus. This publication reports the electroclinical features in five children with CDG (ALG1-, ALG6, ALG11-CDG and CDG-Ix) and epileptic spasms. A case of early onset epileptic encephalopathy with de novo mutation in SLC35A2: Clinical features and treatment for epilepsy. Although patients with CDG generally have diverse systemic symptoms, patients with a SLC35A2 mutation manifest predominantly disorders of the central nervous system (CNS). This article reports a SLC35A2 patient with intractable seizures that were diminished after specific therapy. A review of clinical, electrophysiological, and neuroimaging findings of 27 CDG patients focusing on seizure onset, semiology and frequency, response to antiepileptic drugs (AED), and early epileptic manifestations. Epilepsy was uncommon in PMM2-CDG (11%), while it was a main concern in other rare forms. TMEM199 Deficiency Is a Disorder of Golgi Homeostasis Characterized by Elevated Aminotransferases, Alkaline Phosphatase, and Cholesterol and Abnormal Glycosylation. Four CDG patients were identified with different mutations in TMEM199, a protein involved in Golgi homeostasis. Patients presented N- and O- glycosylation defects with a mild phenotype of hepatic steatosis, elevated aminotransferases and alkaline phosphatase, hypercholesterolemia, as well as low serum ceruloplasmin. TMEM199 deficiency results in a hepatic phenotype with abnormal glycosylation. Case report of the ninth case of DMP1-CDG, whose clinical presentation includes severe gastrointestinal involvement, i.e. food protein induced enterocolitis syndrome (FPIES). Gastrointestinal manifestations (GIT) of the congenital glycosylation disorders have included deranged liver function, hepatomegaly, liver fibrosis, steatosis and protein-losing enteropathy. This is the first report of a congenital glycosylation disorder being associated with FPIES. Ultrastructural aspects of enterocyte defects in infancy and childhood. Although there has been substantial progress in the identification of diarrheal diseases in infancy and childhood, electron microscopy may be still required for establishing diagnosis, staging, and response to therapy. In certain forms of congenital disorders of glycosylation with gastrointestinal involvement, electron microscopic diagnosis is helpful. Gastrointestinal and other clinical manifestations in 17 children with congenital disorders of glycosylation type Ia, Ib, and Ic. The typical signs and symptoms of congenital disorders of glycosylation (CDG) include dysmorphy, failure to thrive, and neurologic abnormalities. However, more and more children diagnosed at a young age are not dysmorphic and do not have neurologic involvement. The authors studied the gastrointestinal and other clinical manifestations of CDG type Ia, Ib, and Ic. Heart transplantation in a child with congenital disorder of glycosylation. This article reports a heart transplant performed on a DOLK-CDG patient presenting dilated cardiomyopathy with markedly reduced myocardial contractility. On an early follow-up the boy had developed insulin-dependent diabetes mellitus. Two and a half years after his heart transplant, the boy continues to show a good psychological and physical development with excellent quality of life. Phosphoglucomutase 1 deficiency has recently been reported as a novel disease that belongs to two different classes of metabolic disorders,congenital disorders of glycosylation (CDG) and glycogen storage diseases.This paper focuses on previously reported siblings with short stature, hypothyroidism, increased transaminases, and, in one of them, dilated cardiomyopathy (DCM). Cardiomyopathy in the congenital disorders of glycosylation (CDG): a case of late presentation and literature review. Cardiomyopathy in CDG has previously been described in several subtypes; it is usually associated with high morbidity and mortality and the majority of cases present in the first 2 years of life. This is the first case with presentation in late childhood and the article reviews current literature. This article reports pathogenic variants in ALG9 that can present as a lethal skeletal dysplasia with visceral malformations as the most severe phenotype. ALG3-CDG: Report of two siblings with antenatal features carrying homozygous p.Gly96Arg mutation. Case report two affected siblings presenting prenatally with skeletal abnormalities associated with dysmorphic features, cerebellar vermis hypoplasia, corpus callosum agenesis, hepatic fibrosis and poor prognosis. This is the first detailed report of an affected fetus including clinical, radiographic and pathological findings. Authores describe three unrelated children with recurrent infections, congenital leukopenia including neutropenia, B and T cell lymphopenia, and progression to bone marrow failure. Whole-exome sequencing demonstrated deleterious mutations in PGM3 in all three subjects, delineating their disease to be due to an unsuspected congenital disorder of glycosylation (CDG). Two of the three children had skeletal anomalies resembling Desbuquois dysplasia: short stature, brachydactyly, dysmorphic facial features, and intellectual disability. 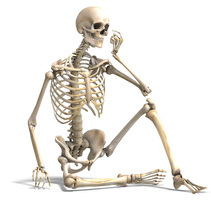 Three TMEM165-CDG patients were reported with bone dysplasia. TMEM165-CDG is a consequence of deficiencies in proteins that are not specifically involved in glycosylation but that have functions in the organization and homeostasis of the intracellular compartments and the secretory pathway. SRD5A3-CDG: Expanding the phenotype of a congenital disorder of glycosylation with emphasis on adult onset features. Case report of five individuals (three children and two adults) with mutations in SRD5A3 focusing on the variable eye and skin involvement. We compare that to 13 affected individuals from the literature including five adults allowing us to delineate the features that may develop over time with this disorder including kyphosis, retinitis pigmentosa, and cataracts. 29 French adult patients with PMM2-congenital disorder of glycosylation: outcome of the classical pediatric phenotype and depiction of a late-onset phenotype. The phenotype of PMM2-CDG is well characterized in children but the long term course of the disease is unknown and the phenotype of late onset forms has not been comprehensively described. We thus retrospectively collected the clinical, biological and radiological data of 29 French PMM2-CDG patients aged 15 years or more with a proven molecular diagnosis (16 females and 13 males). Clinical features in adults with congenital disorders of glycosylation type Ia (CDG-Ia). An increasing number of American adults with CDG-Ia (PMM2-CDG) are being recognized but little is documented on the morbidity and mortality in this population. These adults have moderate mental retardation, ataxia, retinitis pigmentosa, peripheral neuropathy, kyphoscoliosis, and endocrinopathies. Four adults with CDG-Ia, ages 19-36 years old are presented.